Now, 18 years later, what began as a temporary volunteer gig has turned into her life's work. Hickerson became the sanctuary's full-time research coordinator in 1997, and has since logged more than 1,200 scuba dives around the Gulf of Mexico and Caribbean. And on March 29, she will be joining some of the most accomplished women in her field when she's inducted into the Women Divers Hall of Fame. A graduate of Texas A&M University, Hickerson has coordinated or participated in more than 150 research missions, using scuba, remotely operated vehicles (ROVs), and submersibles. 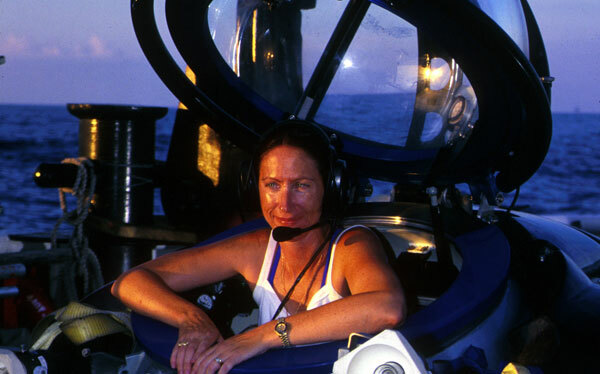 She has lived and worked underwater as a saturation diver at the Aquarius research laboratory in Florida Keys National Marine Sanctuary, and piloted a handful of submersible dives. Much of the focus of the science she has been involved in has been used to inform management in the sanctuary. She is not only passionate about studying the marine environment, but also interpreting science through photography, videography and art.